Is the lead singer's phenotype common in Norn Iron? She's beautiful. I like how her eyes are slanted - the opposite to the Mongolian slant typical of my neck of the wood. My claim to fame was getting Phil Lynott and Gary Moore to play at our school gig in 1969. Half of the class wanted Big Tom...Still, good for the slow dancing. That is a real claim to fame! Phil Lynott was the bomb! Yeah, he used to frequent the local world famous traditional music Mark's bar. I'm in the foto. The girl in the front smoking cig is American (Davis, California). I met her again for the first time since 1968 a few weeks ago. Some more bragging.. Mark's bar was the size of a postage stamp. 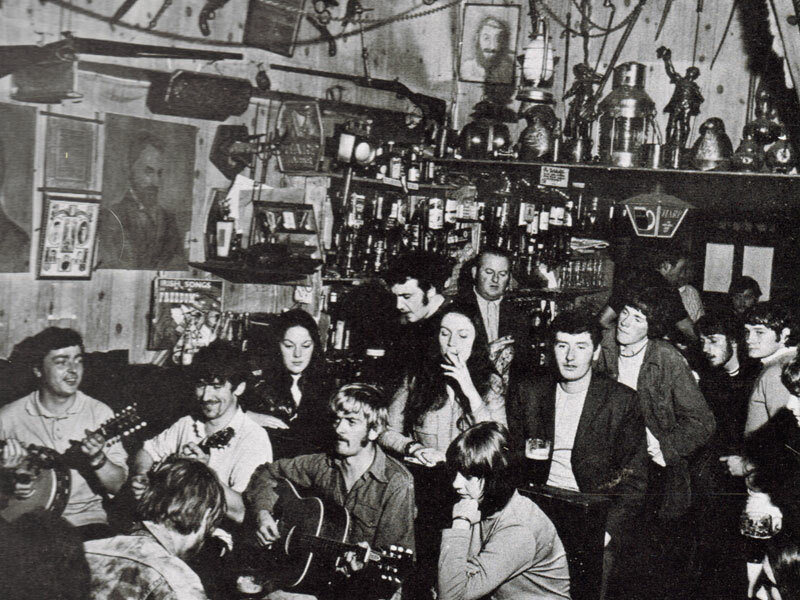 You never knew who would walk through the door, Once evenin in 1974 the Dubliners were there after having given a concert. Then they continued playing until 8 am next morning..
Jullie Collins, Pete Seeger, Jullie Felix to name a few used to visit the bar. Once a touring group from Ecuador arrived so they played their music all night. Oh yeah, bearish I was Sir Bob Geldof's bodyguard at a TCD concert to protect him from those sneaky right-wing law and political studies' students (they hunt in packs). It was a pleasurable evening. I won't hear any bad things being said about Bob, so I won't. Paul is the exception. Long interview sequences, even Jack Bruce, great concert footage. I have known a few brilliant but very toxic people in my time, including Hunter S.Thompson (RIP, my friend), but Mr. Baker was truly ferocious. It's an indie film, so collages, craziness, extreme profanity, loads of abuse and invective. Illuminating! If you can't take the heat, stay the @&%$ out of his kitchen. At 5.29 is Ciaran MacMathuna who used to have a RTE radio programme. My mum's (founder of) Cuchulainn ceili band were regulars.